Leasa is our licensed Early Childhood Educator who brings 20 years of experience to our program. Along with her formal education at Camosun College, Leasa has gained much knowledge of early education through practical experiences. Most of her teaching has been with three to five year olds in a preschool setting, however, she also has experience working in a toddler center, a kindergarten program, parent and tot programs, and as an aid to a child with special needs. Leasa feels the empathy and understanding she has gained in her role as “Mom” to three children is a valuable asset to her partnership with parents in the cooperative setting. Leasa encourages children to learn how to interact with others through one on one play and group activities. Amber is a licensed ECEA since 2014 and comes to Cordova Bay with 5 years experience as an assistant for co-op preschools. She is experienced in working with 30 months – 5 years old in a preschool environment, as well as experienced in support care as well. Amber feels passionate about co-op learning through play philosophy and as experience in the parent roll as well, as both her children have been part of a co-op preschool prior to her role as assistant. She feels she had developed patience in guidance from her role, as well as a strong relationship with families and community. Amber has a passion health and nutrition and strives to aid children in making healthy choices and education them on choosing “growing food”. Nicola relocated to Canada with her family two years ago from the UK. She has 6 years experience, specializing in Early Childhood education and Learning through play philosophy. Nicola has experience working within elementary schools and pre-schools, where the children have been from the ages of 2 years – 7 year olds. 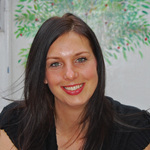 Nicola also has experience working with children wh o require added support. Nicola is new to the Co-operative pre-schools she she feels that the Co-operative is such a great partnership. As a parent herself to two children and having worked with children for a number of years now, she feels that she has gained a greater understanding of children’s development which has helped her to become both a better parent and educator. 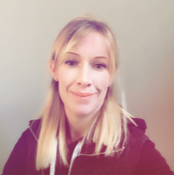 Nicola is a strong believer of learning through play in childcare settings in order to help children develop and expand their creativity, knowledge and problem solving skills.